though known to be very good at adapting to their environment. When drinking water, giraffes have learned to gulp in order to avoid predators while in a vulnerable position. When it comes to sleeping, being able to move in a matter of seconds in the body of a 3,000 pound animal is not easy. They have adapted to be able to survive on 30 minutes or less of sleep a day. A giraffe extends its long neck to sleep, reach food, and look out for danger and for male giraffes to establish dominance during mating. From personally working with giraffes while interning at a zoo, I have learned they can recognize their given names. To let them out in the morning and to put them to “bed” at night, the zookeeper would call their name to get them to go where he wanted. They are also very intelligent when it comes to food. The giraffes at the zoo were fed at 11 every day. Sure enough, by 10:45 each day they would be at the feeding deck waiting. They also knew that the cardboard box meant leaves of lettuce. They would even become extra greedy sometimes and try to sneak extra pieces out with their long tongues thinking we wouldn’t see. Physically, giraffes are quiet, extremely tall, have excellent eyesight and are considered very intelligent. The intelligence of giraffes is a factor in how quickly they adapt behaviorally in response to changing external stimuli. Also within my interning, I had the opportunity to observe the giraffes being clicker trained. The zookeepers would click their clicker for the giraffes to put their nose to a red dot on a stick. The zookeeper would then touch them during the process. Positive reinforcement was also used to do the task asked of them through leaves of lettuce. The giraffes seemed to catch on quickly. This training helps zookeepers’ better care for the species such as trimming their hooves in the future. Giraffes have a very interesting social structure. The females generally bond very well together so you will see them in small herds with about 10-12 members. Although giraffes have been seen in larger groups, it has been observed that these larger groups are for extra protection of the young while eating. These larger groups mainly consists of females. The females take turns watching the offspring and then eating. Male giraffes, like most other male mammals, compete for dominance. They redeem this title by engaging in necking battles. Older, more mature males end up leaving their former herd. They have been observed to spend most of their time alone unless they are mating. While giraffes are rather non territorial creatures, male giraffes will become territorial to keep other males away from the female they want to mate with. They also become territorial when food is scarce. I have observed this food related territorial behavior while at the zoo. The male giraffe was always dominant and necking his two female mates to move out of the way when getting fed. Zookeepers and interns like myself had to watch for this behavior in order to keep things “fair.” “It seems that giraffes have one of the least structured types of socialization of most animals.” They don’t seem to form that deep bond with others in their herd. They are socially viewed as unintelligent due to their lack of sociality with one another, thus classifying the species as expressing primary emotions. 1. AmarraE. 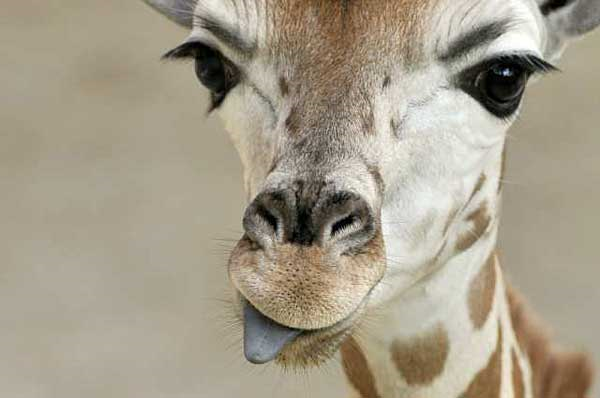 "The Behavioral Adaptations of Giraffes." EHow.Com. Demand Media, 09 Mar. 2011. Web. 07 Nov. 2013. 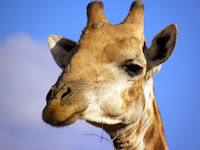 <http://www.ehow.com/info_8039267_behavioral-adaptations-giraffes. 2. "Giraffe Social Structure." GiraffeWorlds.Com. N.p., n.d. Web. 07 Nov. 2013. <http://www.